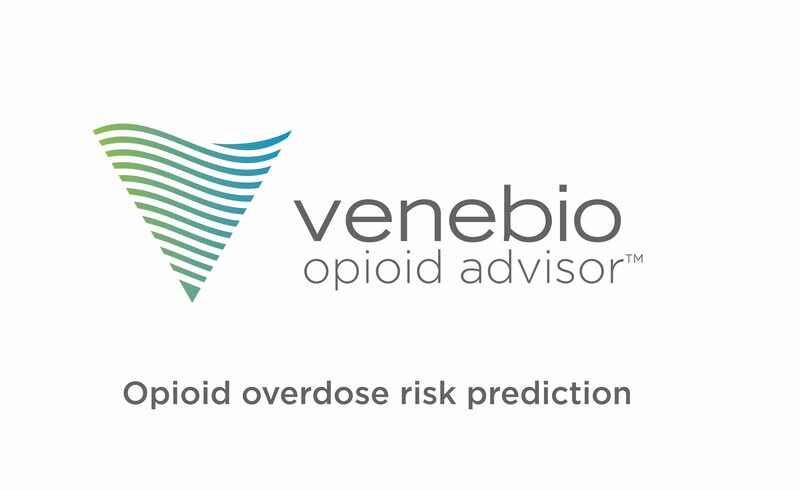 RICHMOND, Va. – January 31, 2018 – The New Hampshire Board of Medicine has approved Venebio Opioid Advisor™ (VOA™) as one of the state’s official risk assessment tools for opioid prescribing. New Hampshire state law requires that any opioid risk assessment tool be approved by the New Hampshire Board of Medicine. The 11-person board approved VOA at its January meeting following an evaluation of the peer-reviewed publications validating VOA’s efficacy at predicting a patient’s likelihood of experiencing a prescription opioid overdose with 90-percent accuracy. VOA is one of five resources currently listed as an “Opioid Prescribing Clinical Tool” on the Board of Medicine’s and the New Hampshire Medical Society’s websites. Of the approved tools, VOA is the only predictive analytics tool that quantifies a patient’s risk level for experiencing a prescription opioid overdose. VOA uses a proprietary algorithm to develop a personalized risk profile based on multiple demographic and clinical variables associated with prescription opioid overdose. It is the only validated clinical decision support tool that quantifies a patient’s likelihood of experiencing a life-threatening overdose from a prescription opioid, determines a personalized risk factor profile for each patient and provides clinicians with individualized guidance regarding interventions to reduce the patient’s risk of overdose. Prescription opioid sales quadrupled in the United States between 1999 and 2010, and deaths from prescription opioid overdose have increased in near parallel proportions, from 4,030 in 1999 to more than 15,000 in 2015. To learn more about Venebio Opioid Advisor, visit voa.venebio.com. Thompson S, Sasinowski M, Zedler B, Joyce A, Tripodi M, Murrelle E. Predictive Analytics Can Help Reduce Prescription Opioid Overdoses and Health Care Costs. Richmond, VA: Venebio Group, LLC; 2017.